Stylish and well-equipped. Impressive official fuel economy. Has one of the biggest boots in its class. More expensive to buy than any of its its premium rivals. Initially only the AMG versions get a petrol engine. 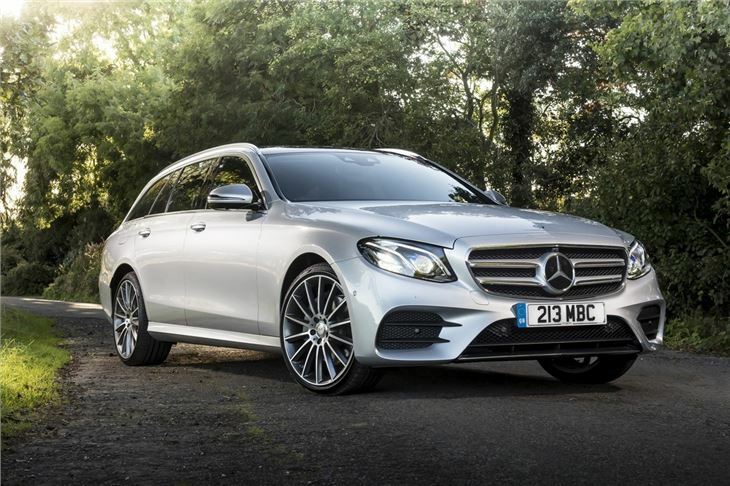 If you’ve already read our review on the excellent new Mercedes E-Class saloon, then you could be forgiven for thinking the estate variant is more of the same only with a bit more space. And you’d be right – although there’s much more to this premium German estate than its capacity to devour your Louis Vuitton luggage. But we’ll get to that later. 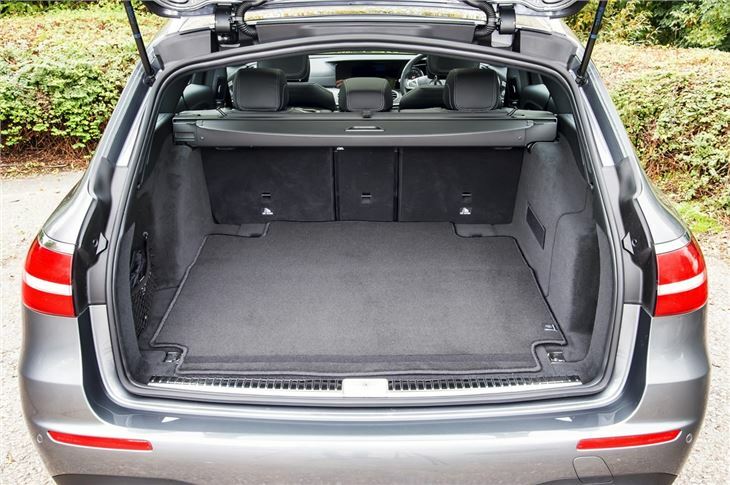 First of all, we do need to talk about the load space – all 1820 litres of it (or 640 litres with the seats up). That’s impressive. It will take a pallet. Or your golf bag(s). And it's better than its main rivals, the BMW 5 Series Touring and Audi A6 Avant. 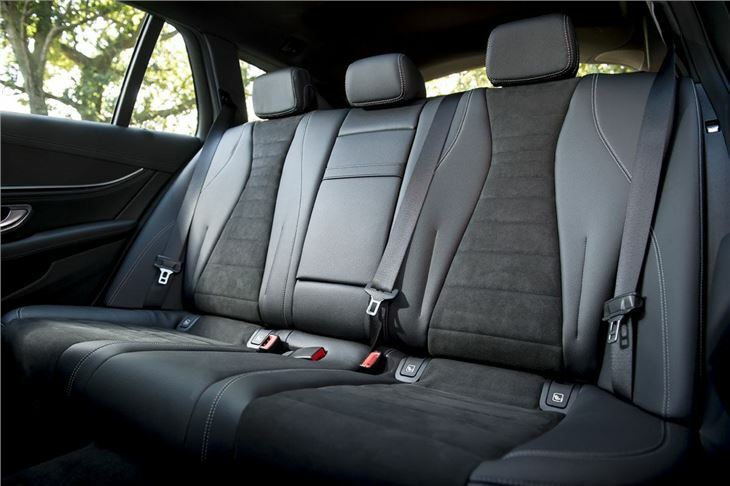 In fact, we reckon only the Skoda Superb Estate is able to offer more space. The E-Class Estate also looks fantastic. Gone are the days when creating an estate variant just meant randomly tacking on some more metal from the rear pillars backwards. 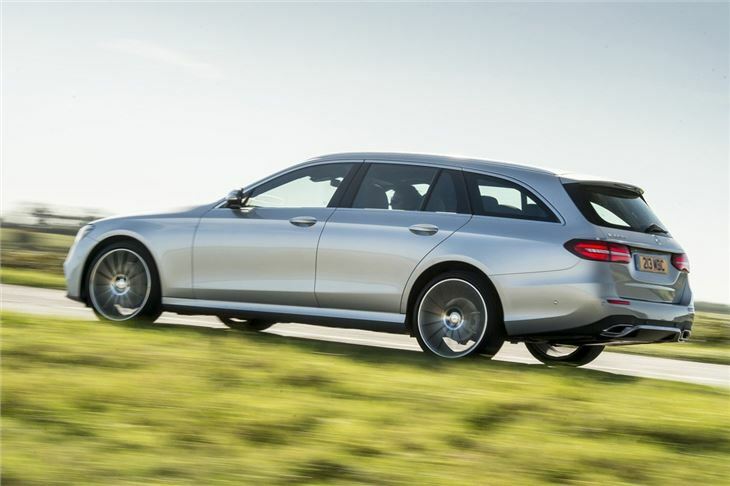 For the E-Class wagon, the designers kept the saloon’s front end with its long snout, but from the centre pillar it’s all estate. Like the Audi A6, it uses steeply raked windows and a short rear overhang to create an impression of sportiness. So is the Mercedes-Benz load lugger all show and no go? Not at all. Even though the UK only gets diesel power, both (there are only two) engines are excellent. The 220 d is powered by a brand new 2.0-litre four-cylinder unit that’s good for 194PS while returning an official 67mpg. The 350d uses a 3.0-litre V6 that produces 258PS and returns a claimed 52mpg. If you want a petrol, then you’ll have to opt for the AMG version. The E43 AMG engine has already appeared in the C-Class and here is coupled to a full-time four-wheel drive system to help cope with the 401PS from the twin-turbocharged 3.0-litre V6. An E63 AMG will follow and although no figures are available, you can expect it to put out some serious grunt. 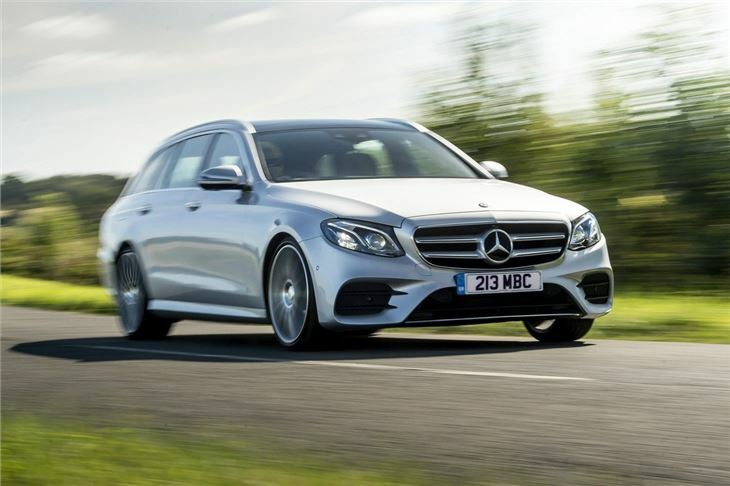 Prices for the AMG start at well over £50,000 while it will cost close to £37,000 for an entry-level version of the E-Class estate. That’s more than its premium rivals, but standard kit includes navigation, LED headlights, automatic tailgate, keyless entry, DAB radio, heated seats and 17-inch alloys. There are only two trim levels available, so take a step up to AMG Line and you’ll pay around £40,000 for 19-inch wheels, three-spoke steering wheel and some leathery bits and bobs. 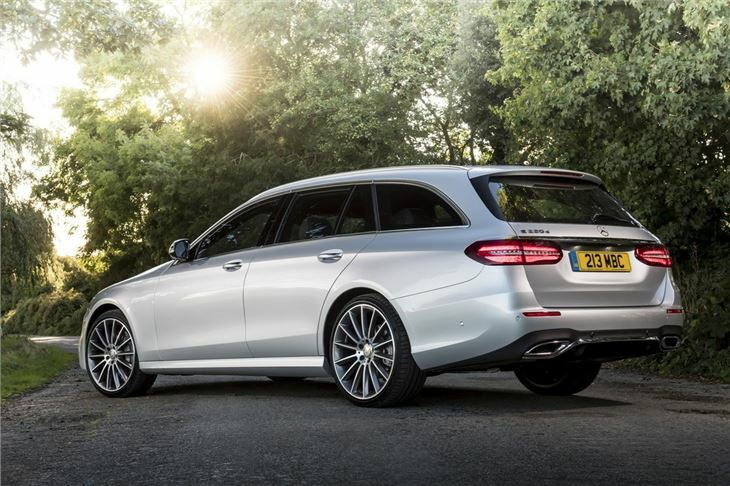 No matter how you look at it, the E-Class Estate costs more than its rivals. But for a premium estate car that sets a new benchmark for luxury, practicality and is on par with its rivals when it comes to handling, it might just be worth it. Without doubt the best car I have ever bought - brilliant!